Baptisms at Christ Our Light-North (Princeton) and Christ Our Light-South (Zimmerman) are held during the Sunday Mass. Parents are required to complete a pre-baptismal class and arrange for a date of baptism through either parish office. Pre-baptismal courses are offered approximately every-other month, please check the online parish calendar, bulletin, or contact the parish office at 763-389-2115 or email Teresa Callison with an inquiry at teresac@christourlightmn.org. See the baptism requirements link below for more information. Parish membership and baptismal preparation class requirements apply (see the baptism requirements link below).Please contact Wendy Rappé, our Director of Faith Formation, at 763-389-2115 or emails to wendyr@christourlightmn.org. 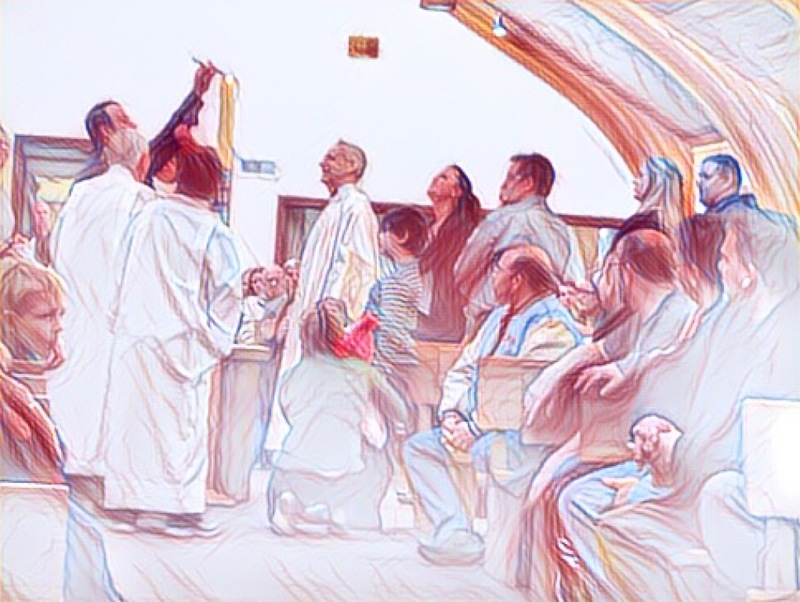 For adults joining the faith, instruction concerning this Sacrament can be arranged through the RCIA (Rites of Christian Initiation for Adults) program.Please contact Wendy Rappé, our Director of Faith Formation, at 763-389-2115 or emails to wendyr@christourlightmn.org.